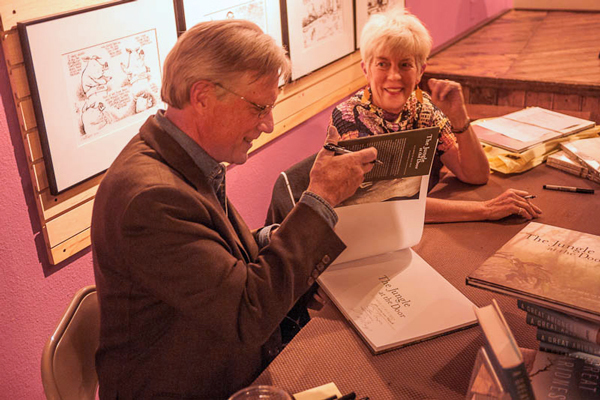 Like millions of other children worldwide, Joan Myers was inspired at an early age by Rudyard Kipling's stories and books about the jungles of India. And, so, given the opportunity to visit wildlife refuges in India, she jumped at the chance. The Jungle at the Door is the result of that experience. Through the miracle of photography and the beholding eye of a master photographer such as Myers, we are able to experience the land and life in India's last remaining wild jungles. This is the land of the tiger and elephant and monkey and rhino and a treasure trove of other species. But, as noted writer William deBuys shares in his provocative essay, poaching is a persistent and pervasive problem, and the natural habitat for wild animals is shrinking at an alarming rate due to expanding development and industrialization. Tigers, for example, are now extinct in ninety-three percent of their historical range worldwide, and, without wildlife refuges such as Bandhavgarh, Kanha, Karizanga, and others in India, their numbers would plummet further. Few citizens of the world will ever experience firsthand the jungles and wild places of India, but in Myers's visual discovery they can witness the excitement and energy of coming upon wild game in a moment's notice and experiencing religious shrines and rural life in nearby villages that seem to blend in effortlessly with the adjacent wilderness. 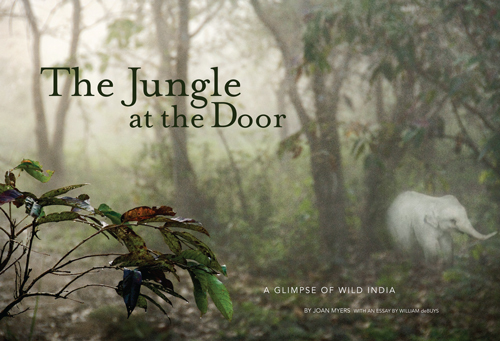 The Jungle at the Door is that rare glimpse into another world, a world that depends not only on human awareness of what is lost when the jungle is gone, but also the courage and foresight to preserve remaining wild places everywhere, from those in India to our own home ground. Click here to read the four-star review from Amazon, along with other praise.